Need a Scottish Fix? #FridayFiveChallenge Hamish Macbeth #Mystery, Would You BUY or PASS? Now that Priscilla Halburton-Smythe has agreed to marry him, Police Sergeant Hamish Macbeth can’t imagine a more perfect life. There’s not much crime in his remote Scottish village of Lochdubh, nothing much at all to do but fish, drink coffee, and slouch around. And now to spend time with lovely Priscilla. But his days aren’t as tranquil as his dreams. For one thing, Priscilla’s renovation schemes are driving him out of his cottage. Not to mention her ambitious plans for his career as a policeman away from Lochdubh. This might be a good time to find out why Peter Hynd’s arrival in nearby Drim was causing so much trouble. An attractive, unmarried man with an independent income would always attract attention in such a small place. But this time Hynd’s arrival seems to have caused bitter rivalry among the women of Drim. Hamish finds their petty fights amusing and a clever excuse to avoid Priscilla and her schemes for a new electric stove (to replace his beloved woodburning appliance), a posh new bathroom, and virtuous nutrition. Amusing, that is, until death threats, physical abuse, and murder make statistical history in one of Scotland’s most picture postcard-perfect towns. Would I buy or Pass?….Buy a second hand copy. 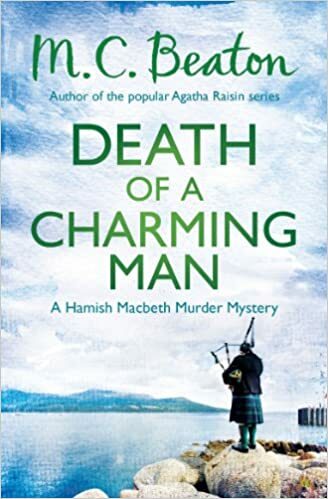 The piper on the cover screams Scotland as does a name of Hamish Macbeth, an easy option for soaking up some Scottish charm. Here are links to other bloggers taking the challenge today. Cinderella Twist? #FridayFiveChallenge #Steampunk would you BUY or PASS? 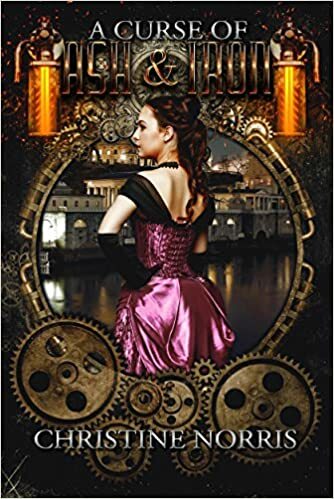 This week I’ve been looking at STEAMPUNK a genre I’ve not read, but one I want to stretch my reading with. When he reunites with his childhood friend Eleanor Banneker, he is delighted. His delight turns to dismay when he discovers she has been under a spell for the past 7 years, being forced to live as a servant in her own home, and he realizes how sinister some secrets can be. She asks for his help, and he can’t refuse. Even if he doesn’t believe in ‘real’ magic, he can’t abandon her. Ellie has spent the long years since her mother’s death under the watchful and unforgiving eye of her stepmother. Bewitched and hidden in plain sight, it seems no one can help Ellie escape. Not even her own father, who is under a spell of his own. When she sees Ben one evening, it seems he is immune to the magic that binds her, and her hope is rekindled along with her friendship. This genre is completely new to me so I have little to compare it will, I like the book cover, cogs and the era of yesteryear are part and parcel of this genre. One reviewer mentioned a Cinderella link and I spy the familiar surname of Grimm, which is linked to books, so I’m hopeful that this will be a good place to start on this genre. This fun feature is a mini workshop. We look at book covers just from their thumbnail pictures at online selling book sites and make quick fire buying decisions. We look from a READERS Point of View and this exercise is very EYE OPENING. This week I looked into the popular “Crime” genre. On 26th April 1986, reactor four exploded at the factory in Pripyat, Chernobyl. At the same time teenager Afia Bello vanished from her home without a trace. In the summer of 2015 Private Detective Alex Harvey is hired to investigate the disappearances that have been occurring within the exclusion zone. He can think of only one person to bring along with him to help; Ukrainian national Elian Gould. 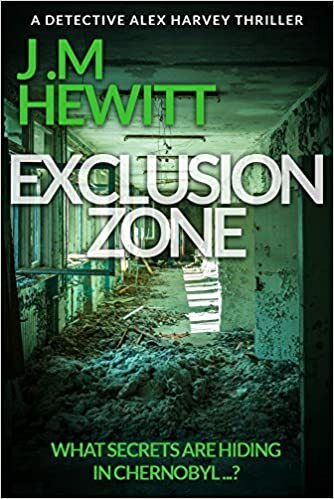 Exclusion Zone is a gripping thriller that will keep readers hooked to the last page. Published in the last two weeks this book only has 2 reviews on Amazon.co.uk. The book cover grabbed my interest with its eerie green theme and the Chernobyl disaster happened in my memory. I once met someone who used to live on the fall out zone, so I’m interested to see where the author takes this storyline. The price is competitive in today’s saturated market. I would be willing to give this book a try. On Tuesday I missed the parcel delivery man by minutes and he left a note saying hubby’s parcel would be left for us at the local post office for collection. A couple of hours later I power walked to collect the parcel, only to be told it wouldn’t be dropped of until after 3.00 pm. Wednesday I took a hour long round walk to include the post office to try again, this time I saw the parcel but I hadn’t thought to take any ID and so I left empty handed. I’m off later for a third time lucky attempt! So this week my search term thoughts were filled with “Parcels”. This book can be read on its own, or enjoyed as part of the Sidewinder series. 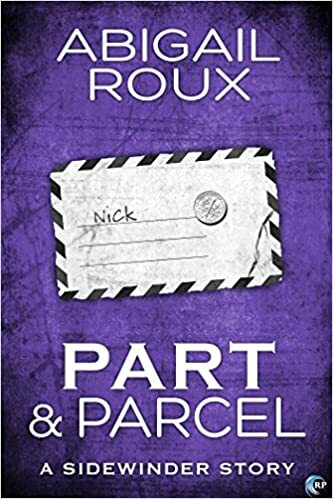 I chose the book because of the purple colouring (my favourite colour), although the picture depicts a letter rather than a parcel. I am a little confused by the book description, I’ve read it a couple of time and I’m not clear if the character called Kelly is male or female, the whole tone of the description doesn’t flow smoothly for me. Add to this an extremely high price for both kindle and paperback, it’s a gamble on a book I’m not prepared to take. Route 66 #RoadTrip #FridayFiveChallenge with the Big Yin Billy Connelly, Would You BUY Or PASS? Britain’s best-loved comedian hits the most famous highway in the world on an unforgettable journey. Billy Connolly, music-lover, biker, and scourge of the beige and bland the world over, has dreamed about taking a trip on the legendary Route 66 since he heard Chuck Berry belting out one of the greatest rock ‘n’ roll records of all time. And now he’s finally had the chance to do it, travelling every mile on his custom-made trike in search of the real America that can still be found beyond the nation’s freeways. Taking in both the essential icons and the hidden gems of the ‘Mother Road’, Billy also meets up with plenty of the memorable characters who call it home. With his instinct for a good story, and the infectious enthusiasm that has made him our most engaging national treasures, Billy Connolly is the ultimate guide to the ultimate road trip. 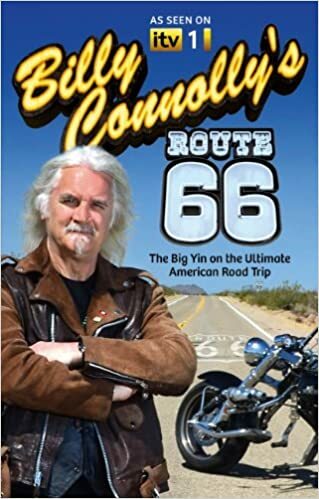 Route 66 is legendary for RoadTrips and I’m a closet Billy Connolly fan, I’ve seen some of the TV series about this and I do prefer Billy when he doesn’t drop the F-bomb in every sentence, so this is more to my liking than his stand-up shows. Top this off with a leather jacket (I do love the smell of leather) and a Harley Davidson motorbike and I’m off visualising the trip. The book cover says it all, you know exactly what you’ll get. Here are links to other bloggers taking part in this week’s challenge. This week, I’ve been reading about a Greek God, so I used her name as my search term to see what interesting books I’d find in my search. My search term was “Hecate”. One U-boat against one destroyer would have been a fair — if deadly — match. But Captain John Murrell’s H.M.S. 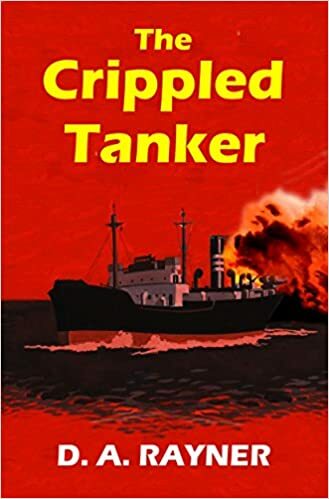 Hecate was towing a crippled tanker whose cargo was as dangerous as it was precious — four million gallons of high-octane gas! The U-boat commander was desperate: his career depended on sinking the tanker. If he failed, the Luftwaffe would send new long-range Heinkels to destroy the Hecate and her tow. Murrell’s cunning fight against incredible odds soon became a nightmarish eternity of cat-and-mouse moves and countermoves. His agonizing duel to the death makes this one of the most brilliant and memorable sea sagas to come out of World War II. Number of reviews: Published last October it has 7 reviews on Amazon.co.uk and 1 on Amazon.com, all relatively positive. Not what I started out looking for at all with my Greek Goddess search term. This would be a gamble of a purchase, with the price tag being the lure rather than the book description and number of reviews. Does anyone else think “Hunt for Red October”? (Tom Clancy or the film) From the red book cover and book description? I am intrigued by this book, but wonder if my reading experience will be clouded by the successful film I am remembering? I don’t mind a bit of WW2 reading, so as I said above a gamble read for me. As we moved into February this week my search term was “Spring” I’m not a winter lover so I always look early for signs of Spring and the promise of Summer. This book caught my eye straight away for it’s book cover. Published to celebrate Skye Gyngell’s groundbreaking new restaurant in the heart of London, Spring presents a collection of mouthwatering original recipes from the new restaurant’s menu – beautiful breads and pasta dishes, exquisite seafood and meat dishes, colourful salads and vegetables, enticing ice cream and desserts, original preserves and refreshing non-alcoholic drinks. Crab salad with chilli, pumpkin, curry leaves and lime, Pappardalle with oxtail ragu, Guinea fowl with faro and parsley, Kimchi and Warm chocolate and espresso puddings are just a few of the delectable recipes on offer. But Spring is much more than a collection of new recipes from this talented chef. It also provides a fascinating insight into the creation of the restaurant itself, from Skye’s first visit to the space at Somerset House, through the design and development of the site to the opening of the restaurant. She describes how the menu evolved, from the early days testing recipes in her kitchen at home to the opening in October 2014. She also reveals details about the other aspects that give the restaurant its unique character: the decor, art, staff uniforms, table settings etc. Beautifully illustrated throughout with Andy Sewell’s evocative photographs, which capture the essence of Skye’s inspirational food as well as the dazzling atmosphere of the restaurant, Spring is set to become a classic. “I recently had a fantastic meal in Spring and was eager to buy the book. It is, like the restaurant, beautiful, and worth buying for the photography and background to the restaurant development – very interesting. I have also enjoyed Skye’s previous books. 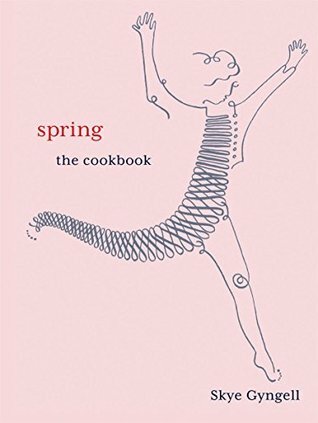 The book cover spoke “Spring” to me straight away, but it certainly didn’t shout cookbook, I thought more along the lines of dance. The review about the recipe edit, added to my decision as did the very hefty price tag, although it may compare with other recipe books and the photos will add to printing costs. Still I’m not a big cook book fan, I haven’t heard of the chef or the restaurant, so a PASS from me. Recently I’ve been stretching my genre reading to cover new areas, today I bravely searched for HORROR. Would I BUY or PASS… BUY and I have just downloaded it. 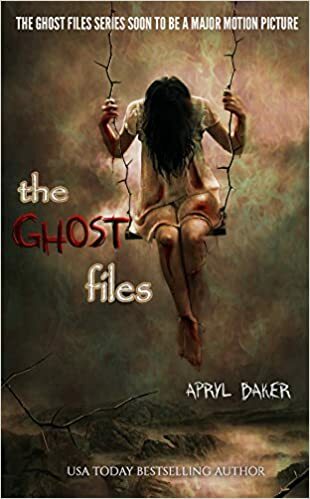 I chose the book from the cover and the book title, I like ghosts stories and mediums, the book description didn’t frighten me too much, hopefully it’s strong on the ghost side rather than the gruesome murders. I hadn’t spotted it was a #YA even with the teenager man character. Not until I saw the price and that it was one of a series and then I realised it was #YA. So for me this is a great introduction to horror, the #YA genre should keep the horror light enough for me to sleep at night. This genre of authors have book series sales down to a T, they offer the first book free to haul in the readers, get them hooked and then get them to pay for the subsequent books. I’ve downloaded my copy. 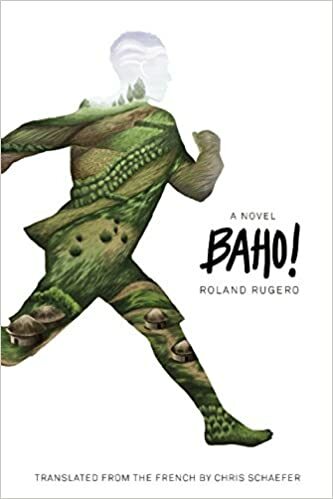 Now I’ve seen the smaller tagline this series is “soon to be a movie” and as this book was published in 2013 it has probably already been made into a movie, I rarely match movies, so you’ll have to tell me readers if you know of it. I’ve just finished an article about holidays and my thought returned to Utah and it’s National Arch Monuments, I like what I’ve seen before and would like to return to explore more of the area, so my search term was Utah. Fodor’s correspondents highlight the best of Utah, including awe-inspiring national parks from Arches to Zion, outstanding ski resorts like Deer Valley, and Salt Lake City’s cultural riches. Our local experts vet every recommendation to ensure you make the most of your time, whether it’s your first trip or your fifth. Would I BUY or PASS? …..PASS unless I definitely know we are going. I chose the book for the book cover, Utah is the arches to me, but I want to explore more. I would buy a copy in paperback if I were booked to go there, Fodor have a good reputation and this book was published in 2015, so much of it would be up to date. A travel guide needs to be up to date to be of any use. 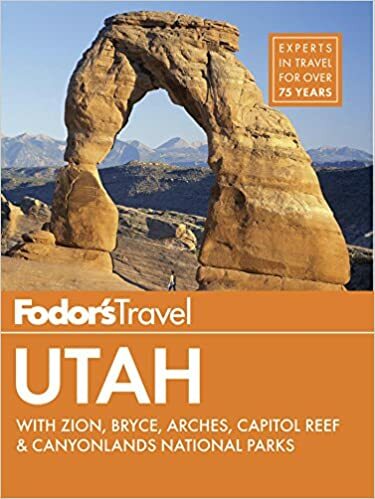 I was concerned with the review which said much of the book was about Salt Lake City, we’re not city people, so I would want to know about the National parks, walks etc I’m not too bothered about the price for a non-fiction book, it will have lots of photos. Here are links to others bloggers taking up today’s challenge.